Who here owns a SBMM? Any lurkers out there? Let's start an owners thread. What do you have? Let's see some pics. These are great guitars. Show them off! Last edited by Michael919; 03-07-2012 at 10:28 AM. Love my Sterling AX40 a bunch !!! Nice one. Neck tinting looks great, BTW! Last edited by Michael919; 03-08-2012 at 12:34 PM. Love my SBMM Silo30 - see avatar pic! I'm at work so that will have to do for now. Now that I have a great amp (Vox VT20+) my Silo SCREAMS!!!! Nice! White variations of any guitar type will never go out of style. That was really cool, Tung. I really liked the jazzy feel and great scale selection. Is that guitar the same as the blue one in your other vids? It's hard to tell the colour in the shred video. Nice AX40 above! I need to try one these soon! Thanks a lot, Michael. The blue guitar is actually my 2007 EBMM JP6 Blue Dawn. My SBMM JP50 was the first run of the Sterling line that came out 2 years ago, which came only in one color, pearl red burst. I just ordered an AX30 from Musician's friend, a used one, for 359$...Even after the import duties (not more than 100$?) in Holland I think it's a good deal. Should be here in a couple of days. 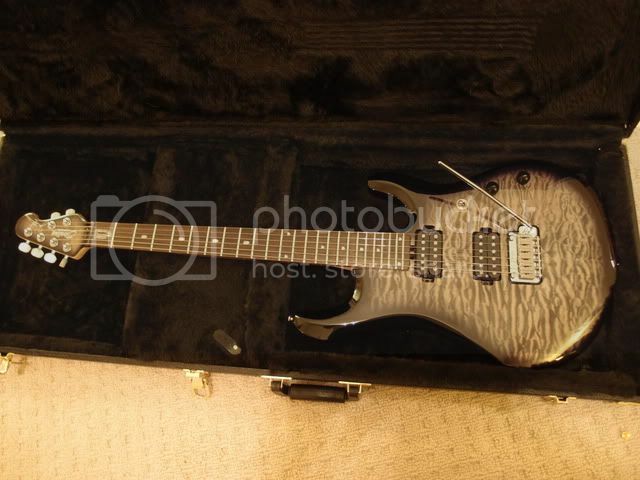 I have plenty of high end guitars and a proper Axis super sport in Pacific blue burst or something similar should have been my next purchase, but with a 2-month od baby it's simply not an option. 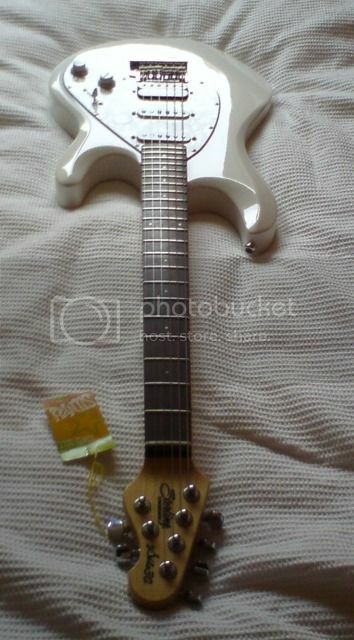 So I decided to buy a cheap AX30 and pretend it's a top model I hear they are decent instruments...Anyway, what modifications do you suggest? 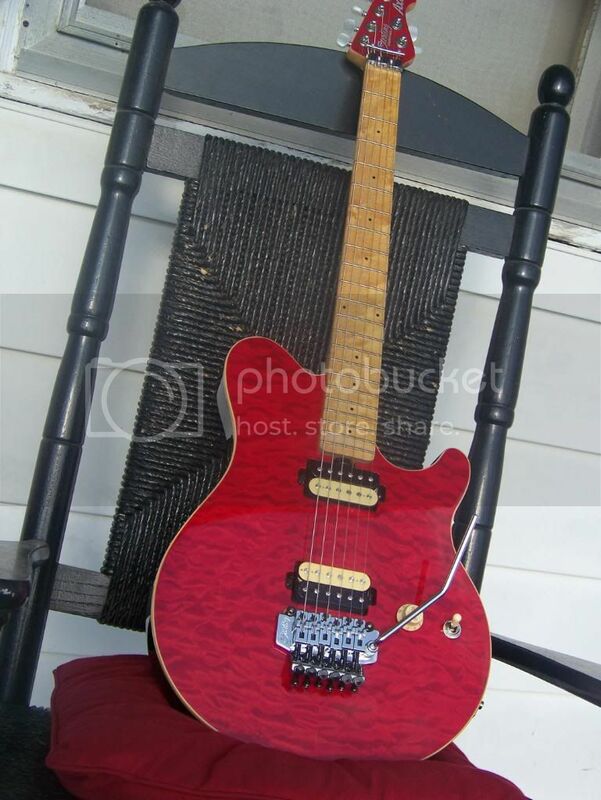 What pickups etc...I would like to slowly upgrade everything that's upgradable in the near future...Though I'm thinking there's not much that can be upgraded, except for the pickups. In that case, what pickups do you guys suggest? Thanks! I just got my brand new Axis pacific blue burst yesterday Thanks. I have only played the JP100. I have played guitar for over 35 years and I think that this guitar might be the best kept secret out there. 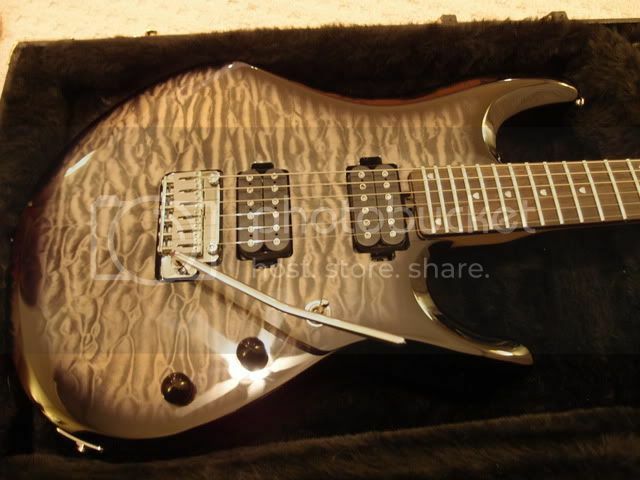 It is comparable to guitars several times the price. I can't wait to try it with the MM JP spec Demarzio's! 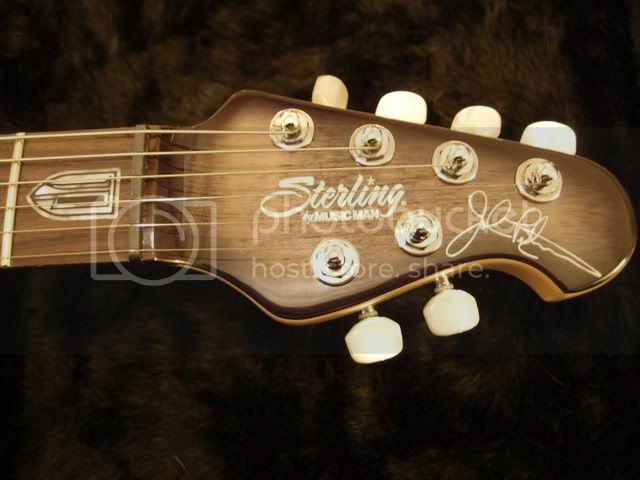 A few owners of EBMM JP's have told me that the Sterling JP is fairly close. Google Some reviews. There are a few by people who either have a MM JP or have tested them. The AX30 looks to be fairly close to the Axis too, based on some comments from users here who have both.